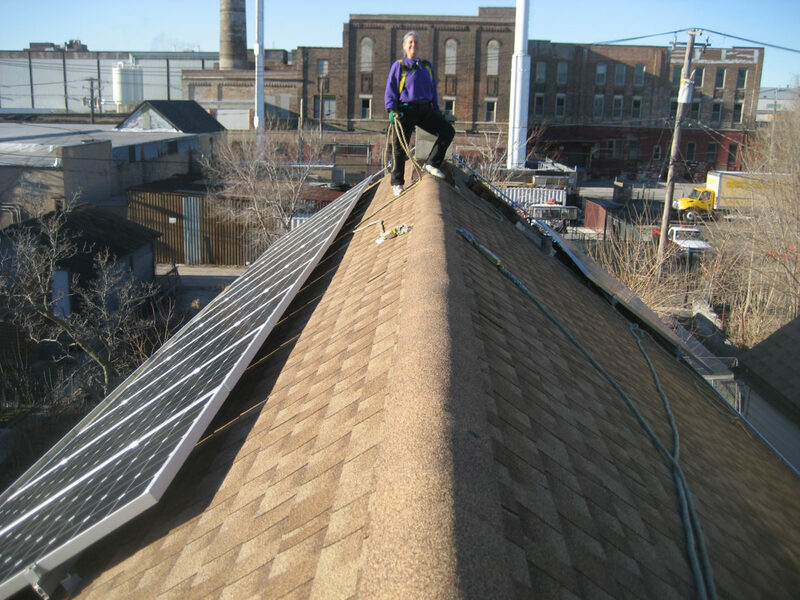 Carol Rose on her roof in the Pilsen neighborhood of Chicago, where Ailey Solar is installing panels. Alex Esparza would like to see solar panels all over Pilsen, the working-class Latino immigrant neighborhood on Chicago’s Southwest Side. He saw many panels on a recent vacation to his native Zacatecas, Mexico, where a 30-megawatt solar farm is also planned. So when Esparza was invited to a workshop in Englewood — an economically depressed, African-American South Side neighborhood — about spreading solar power across the city, he was happy to sign on. 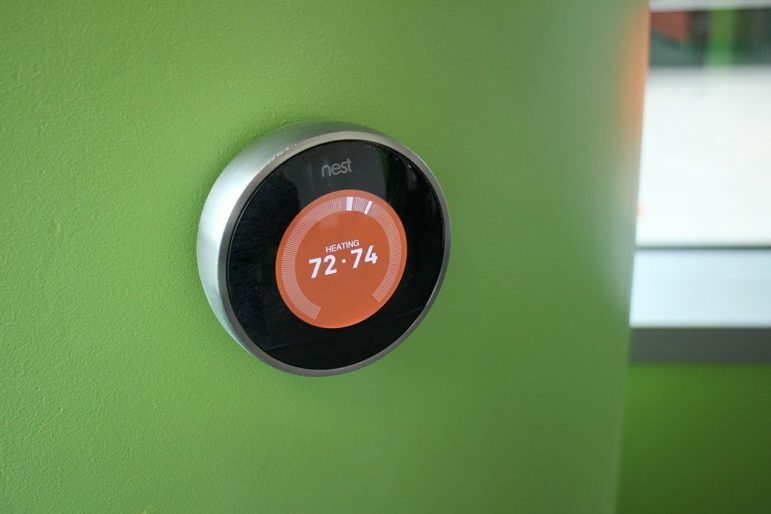 That meeting was hosted by the Illinois Smart Solar Alliance, a group recently founded by the utility ComEd with the stated goal of promoting “smart solar policies,” educating about solar and making solar accessible to low-income communities. Alliance representatives have reached out to community leaders around Chicago, including hosting meetings at Malcolm X College and the DuSable Museum of African American History. Members include the Hispanic Chamber of Commerce and Latino community groups, African-American pastors and community groups and several solar developers. “We can work together to manifest a vibrant solar industry in Illinois — that’s got to be possible and now is the time,” said alliance member Naomi Davis, leader of the group Blacks in Green. But some solar advocates and developers in Chicago and nationally see a darker side to the Illinois Smart Solar Alliance. They question why a new statewide solar group is needed, considering the Illinois Solar Energy Association has been around since 1975 — the dawn of the solar era — and has 400 members. 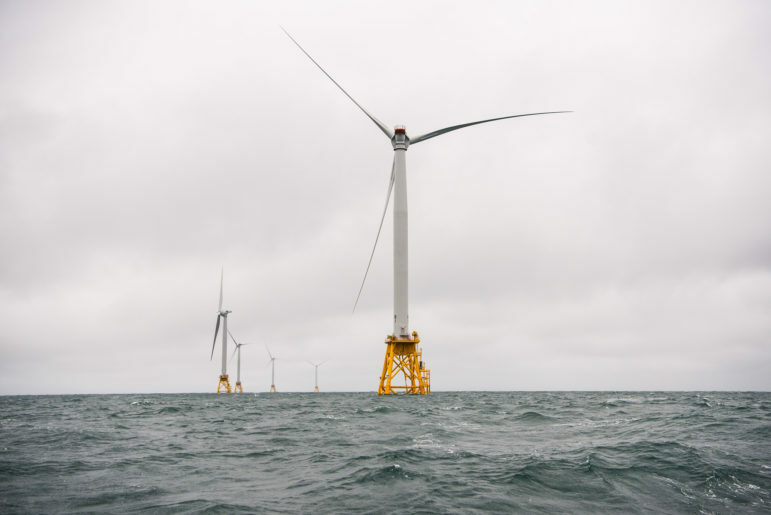 They think the Smart Solar Alliance was formed explicitly to build support for controversial legislation that ComEd and its parent company, Exelon, are pushing in the state legislature, and they allege that the alliance leaders are misleading residents about the bill. Meanwhile, the utility-backed alliance’s formation has stoked a national debate about the class and race dynamics of solar energy, with some African-American members saying they have felt neglected by the “big green” environmental groups and solar energy associations. 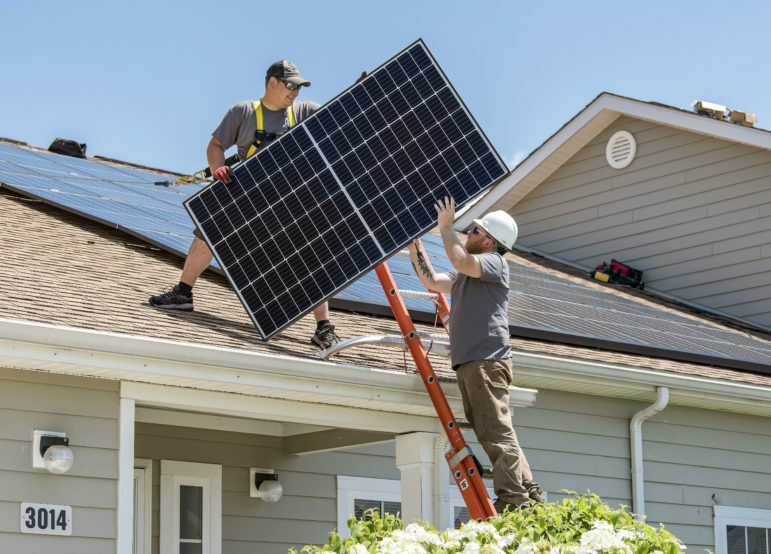 ComEd describes its proposed legislation as a way to jumpstart solar energy in Illinois and make it accessible to lower-income residents — including renters and people in multi-unit buildings — through community solar installations. 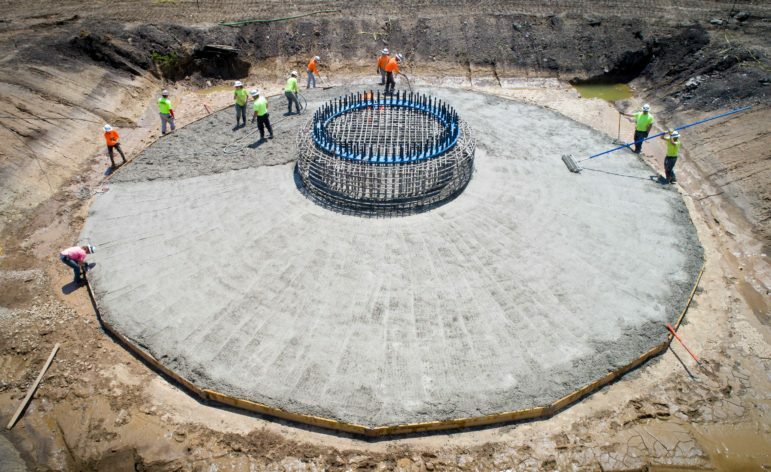 But solar developers and advocates in Illinois have been critical of ComEd’s proposal because the utility would own the community solar installations, making ComEd a competitor with other developers. 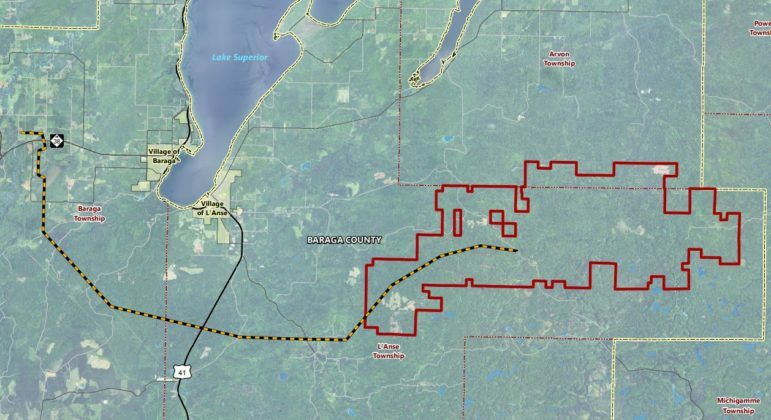 Critics say the utility would have an unfair advantage and would depress the free market, resulting in less solar statewide. ComEd’s previous legislative and policy positions were hostile to the development of rooftop and community solar, advocates contend. Earlier this year, ComEd effectively killed a new rule that would have facilitated independently owned community solar projects. 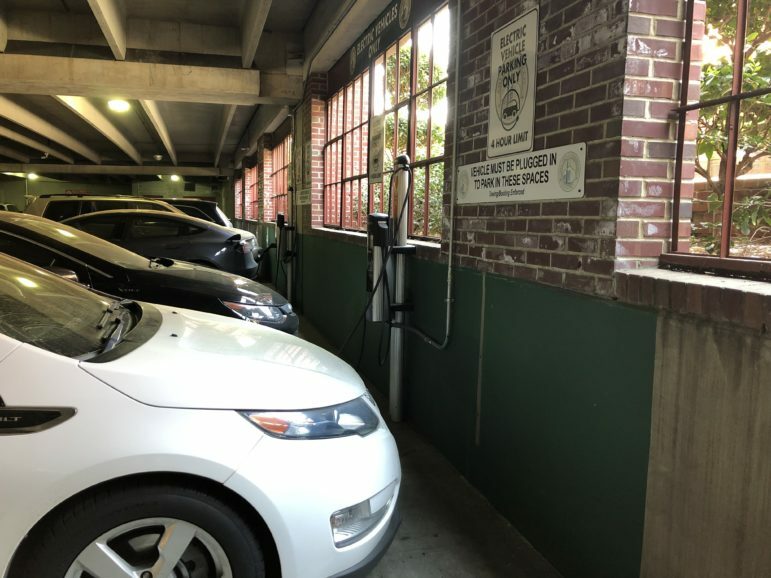 The rule would have made community solar projects eligible for net metering, overriding the utility’s previous ban on net metering for such installations. 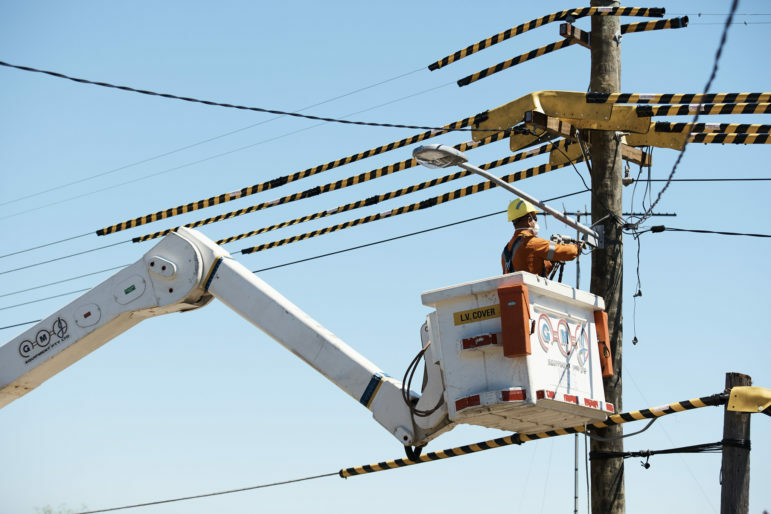 The Illinois Commerce Commission had approved the rule, but ComEd reportedly convinced an administrative body in the state legislature to nix it. ComEd has also proposed ending net metering in its current form across the board, replacing it with a flat rebate for rooftop solar installations. Advocates say this change would make rooftop installations much less financially viable. ComEd’s proposed legislation also includes a “demand charge” that many solar advocates say would make rooftop solar much more difficult. Tom Shepherd is a board member on the Southeast Environmental Task Force, a Chicago-based grassroots group that has gotten national attention for its environmental justice efforts, including their fight against the storage of petroleum coke. The task force previously hosted its own community meeting about solar energy in a local church, featuring solar advocates critical of ComEd’s bill. 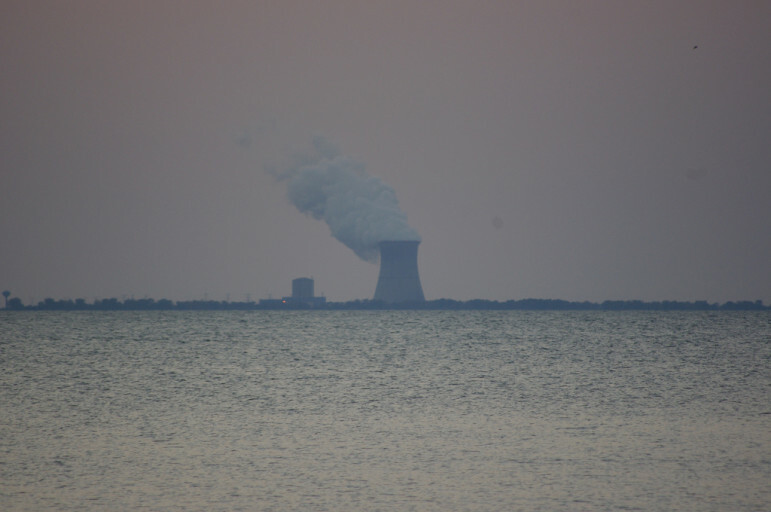 Shepherd noted that the proposed legislation also guarantees revenue to two of Exelon’s troubled nuclear plants in Illinois. Some solar installers are also at odds over ComEd’s group and the legislation it’s pushing, criticizing other companies for becoming members. The Illinois Smart Solar Alliance’s apparent focus on black, Latino and low-income communities fits into a larger debate over the class and race dynamics of solar energy. In contentious conversations around the country, utilities and their backers have often framed the growth of rooftop solar under current rate structures as an injustice to lower-income and minority residents. They say that people with their own solar installations are not paying their fair share to keep up grid infrastructure, since they are using less energy and paying less in energy-use charges. Hence utilities often argue that poorer and disproportionately minority residents are being forced to “subsidize” wealthier homeowners who have the capital to install solar. Dr. Phalese Binion is president and CEO of the Westside Ministers Coalition in Chicago and an enthusiastic member of the Smart Solar Alliance. After hearing from the ComEd-backed group, she is convinced that low-income Chicagoans are subsidizing wealthier solar panel owners. But solar advocates have railed against this framing. They note that there is so little solar installed in the Midwest, including in Illinois — with only about 700 installations — that it has had no real effect on cost allocation. They say that more distributed solar would actually lower rates for everyone, since it can reduce the amount of energy that needs to be generated during peak demand times. ComEd and its critics agree that community solar is a way to make solar accessible to a wider range of residents. So ComEd argues its bill will make solar more equitable, while critics argue it will tamp down the solar market as a whole, for customers of all races and classes. Critics also blast ComEd for killing the community solar provision that would have helped solar developers propose community solar installations to low-income communities. Davis and Binion, both Illinois Smart Solar Alliance supporters, feel like the solar advocacy landscape and “big green” environmental groups lack diversity, and they are impressed that ComEd has reached out to their communities. “Everyone has a self-interest and ComEd has theirs. They’re trying to figure out a business model when things are radically altering,” Davis added. “It’s an exciting time where we can look at what kind of business models are out there, what kind of partnerships can be created.